Direct to the owner. Check directly with the Natur/Watchman if they have any vacant flats especially if you really want to stay in a specific building. Otherwise, ask for the owner’s contact number and call them directly. This proves cheaper because you won’t have to pay any agency fee/commission. Referrals. Inform your friends and colleagues of your plan to move out so when they hear of any vacant property, they will inform you right away. Community & real estate websites. Check out Dubizzle, PropertyFinder, JustRentals etc. In our case, we used Dubizzle as it’s more flexible and updated. These ads by the way are usually posted by agents, not the owner themselves. Payment Terms. Annual rent is paid in cheques. Your landlord will ask you either 1,2,4, or even 6 post-dated cheques for a year’s rent. I don’t need to remind you that a bounced cheque here in Dubai has legal consequences so ensure that your account is well funded in time for the cheques’ clearance. Security Deposit. This is 5% of the total annual rent. Majority of landlords prefer to receive cash but there are few who will just ask you for a security cheque for deposit. Agency fee/Commission. Now this is tricky. See, we searched all over Dubai before we finally found our apartment. This means that we dealt with a lot of different agents. Some were professional, some too casual (FYI, make sure your agent is certified by RERA). There were even agents who never showed up. They just merely gave us directions to the building then let the watchman do the rest of the work. Also, there was a case when two different agents showed us the same property but gave us different rates (the other one even charging us up to 10% of the annual rent! Nakakahigh blood!). So if an agent charges you more than the standard 5%, I advise you to think twice before closing the deal. The agent by the way will be the one arranging all the paper works. Before signing, review the contract to ensure that everything is as per what you have agreed. Internet Connection. Check with your Natur whether your preferred service provider (Etisalat or Du) is allowed in the building. Visit their website for an overview of their internet service packages. For Etisalat click here. For DU click here. Any modifications. If you want to repaint any of your walls with a different color or do any drillings, better consult your Natur first as some building owners are quite strict with this. Otherwise, you might not be able to get your deposit back after your contract ends. Furniture & Appliances. Some people prefer to buy 2nd hand furniture/appliances to save money. Dubizzle and Naif prove to be popular destinations when shopping for pre-owned items. This is okay specially if you buy them from expats who are leaving the country (They will give you the best deal). But before you pay for any 2nd hand item, make sure you come over to do a proper inspection. And just a personal tip, as much as possible, do not buy a pre-owned bed (specially mattress) if you don’t want to introduce bed bugs to your new home. Posted in Dubai, Dubai Guide, home, UAETagged Apartments in Dubai, DEWA connection, Dubizzle.com, Finding an apartment in Dubai, Flats in Dubai, How to find an apartment in Dubai, How to rent an apartment in Dubai, JustRentals.com, Propertyfinder.ae, Renting an apartment in Dubai, Renting in DubaiBookmark the permalink. Dubai real estate is continuously rising with an arrow and built enough convincing power of beauty and profits to attract investors from around the world. The real estate market offers a chance to squeeze all the juice from properties for renting in Dubai as duplex, villas or apartments for rent in Dubai. As compare to buying a property in Dubai and sold it after a while, renting your property is a very simple way to get the maximum benefit of Dubai property. Compelling post! Appreciated reading it, and I would love to see more like it! Very helpful guide, I guess in most of online classified sites for rentals all rates are not accurate. Best way is to visit the apartment and talk to your broker. This avoids any issues on sudden changes of pricing or added fees. Also plenty of questions will rise if you visit to the apartment. 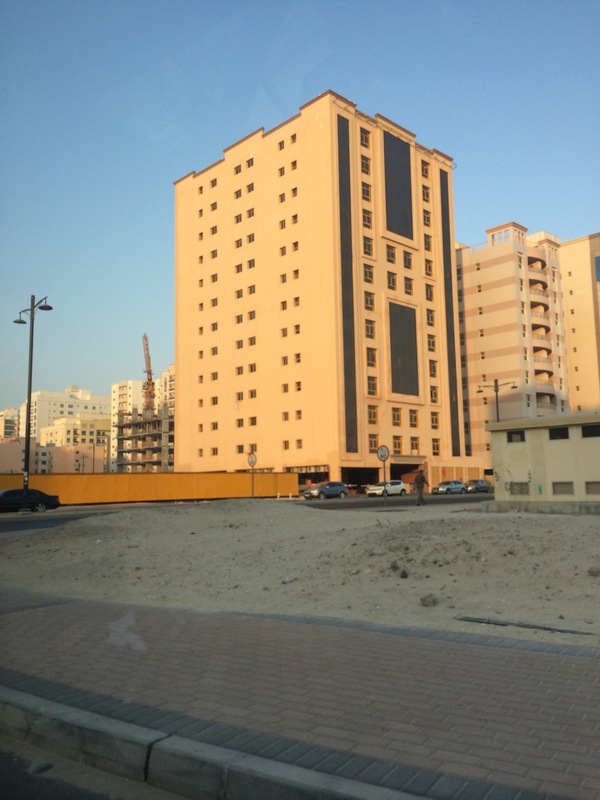 While I was searching one when I found apartment for rent online through Doukani, which is a great source for finding apartment at reasonable cost in Dubai.